Over the next week take the time to reread the text on spiritual Taurus and to answer the following questions. The answers to these questions and subsequent Spiritual Exercises will form your journal of spiritual self-inquiry. This writing process can deepen your understanding of Hermetic Philosophy and The Brotherhood of Light Lessons, as well as provide insights into your own spiritual practices. Over time, you will gain in greater self-discovery, and have the means of tracking your own process of spiritual maturation. 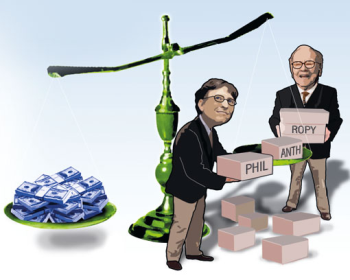 What are your earliest memories of having an awareness of the use and value of money? Can you describe the memory or event? Are there special persons or activities that make you feel prosperous? Who are these persons or what are the activities that contribute most to your prosperity? How do you define financial security? In what areas of life do you feel a deep sense of security, sufficiency or surplus? Describe any deeply-held attitudes that you have about money. Have your attitudes concerning money altered or changed in the course of your lifetime? How does your relationship with finances impact your daily life? What stimulates your feelings of possessiveness? Are you possessive of persons, property, ideas? Do you suffer as a result of being rigid or unyielding? Where in your life are you the most stubborn? Under what circumstances do you refuse to budge on issues? Where do you find stability in life? In what areas do other people consider you reliable? Are there ways in which financial surplus or financial stability contributes to your sense of spirituality? Where is the sign of Taurus in your horoscope? Does it fall on a house cusp? If so, which one? How does Taurus impact your thinking in this area of your life? Do you have any planets in Taurus? If so, which planet/s? How do these planets influence you? 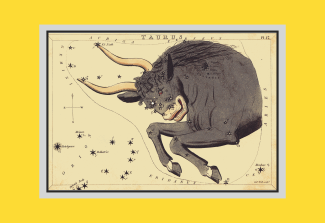 What import life lessons can you learn about the role of Taurus in your chart?